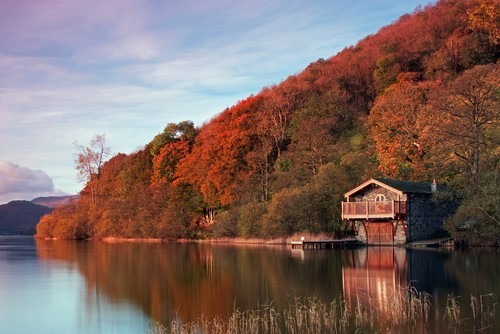 You don’t have to travel far in Britain before discovering an area of outstanding natural beauty. 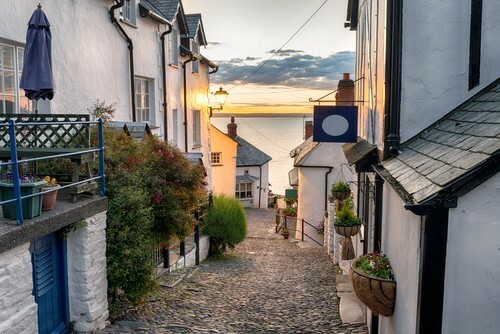 If you’re thinking of escaping your arduous morning commute, the city smog and your claustrophobic, dull apartment in favour of fresh air, quaint cottages and scenic views; our guide featuring the prettiest places to live, explores the relative merits of each area. Traditional Cuisine: Bilbury trout, Gloucester cheese (single or double), five counties cheese, Gloucester Old Spot pork, Hobbs House bread, Stinking Bishop cheese, and Tewkesbury mustard. Entertainment: Castles, churches, country houses, Gloucestershire cheese rolling, market towns, museums, palaces, The Cotswolds Heritage Steam Railway, The Cotswold Stone Model Village, and Wildlife parks. Areas of outstanding natural beauty: Bibury, Bourton-on-the-Water, Castle Combe, Chipping Campden, Northleach, and Westonbirt Arboretum. The Lake District provides many scenic walks through mountains, around shimmering tarns and of course, their famous Lakes. 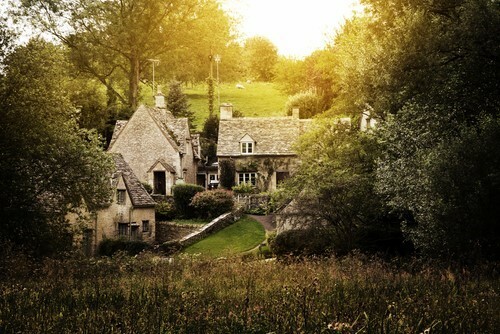 Quaint stone and slate cottages with the iconic stone-stacked walls and five-bar gates are visually stunning. History: The Lake District has strong ties with coal mining (which lead to prosperous steam railways), sheep farming, slate and graphite mining (allowing for the manufacturing of pencils), and tourism. 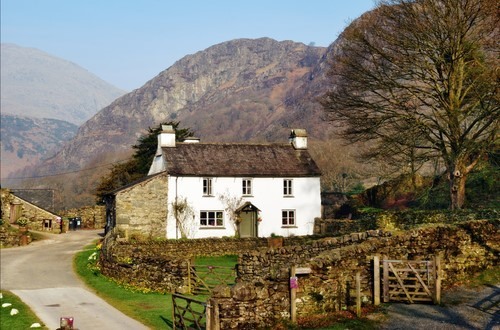 The area was further known for its famous poets – visitors can still enjoy attractions such as Wordsworth’s Dove Cottage. Traditional Cuisine: Cartmel Sticky Toffee Pudding, Cumberland sausage, damsons, Grasmere gingerbread, Herdwick lamb, Kendal Mint Cake, Rum butter, Whitehaven Rum. Entertainment: Museums, Castles, Chocolate houses, art galleries, country gardens, water mills, boat tours, Conishead Priory & Buddhist Temple, The World of Beattrix Potter Attraction, Ravenglass & Eskdale Railway. Areas of outstanding natural beauty: Buttermere, Castlerigg Stone Circle, Catbells Lakeland Walk, Coniston Water, Derwentwater, Easedale Tarn, Lake Windermere, Orrest Head, Tarn Hows. 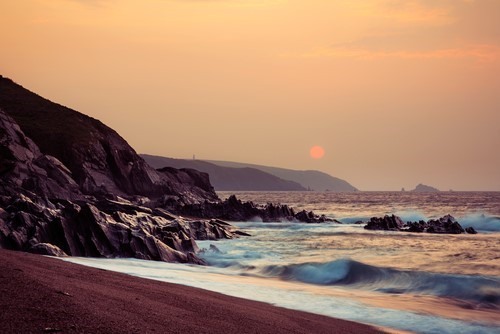 With its golden coastlines and quaint fishing villages, Devon offers surfers, walkers and holiday-makers a picture-perfect setting in which to unwind, relax and enjoy the area’s local delicacies. Whether you are seeking the picturesque cliff-side views and ambient sound of crashing waves, or if you are looking for a more adrenaline-filled activity riding the foaming surf; there is something here for all to enjoy. History: A large portion of Devon’s trade originally came from maritime disciplines. The construction of ships was popular. Ports and harbours allowed for the shipping of trade goods, which could be further transported by various canals navigation. Smuggling was not uncommon. Traditional Cuisine: Fish and chips, ice cream, clotted cream fudge, cream teas, pasty, white pudding (Hog’s pudding), Ambrosia creamery – custard and creamed rice puddings. 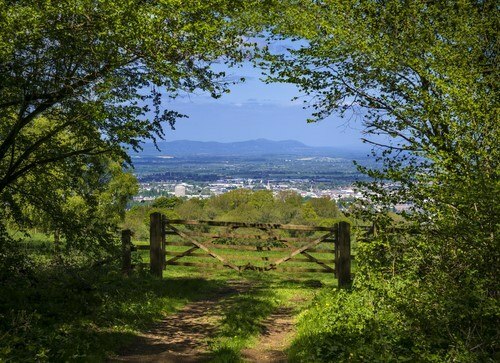 Areas of outstanding natural beauty: Blackdown Hills, Hartland Quay, Kingsbridge Estuary, Blackpool Sands, Sequer’s Bridge, Tamar Valley, Quantock Hills. 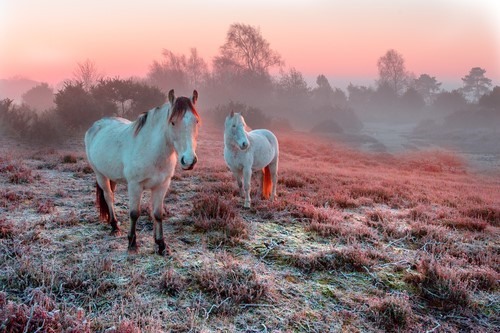 The wild New Forest ponies, who reside in the National Park attract visitors in the thousands every year. Families and experienced walkers enjoy navigating the stunning natural tracks through the unspoilt woodland. 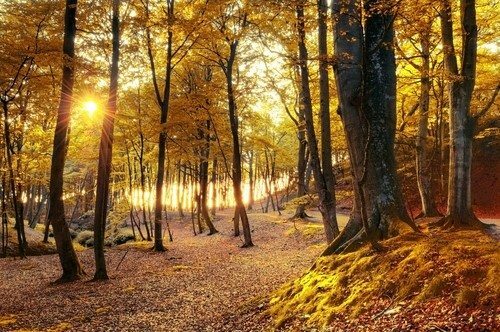 Witness the beauty of each season from the frosty, misty mornings over the moors to the autumnal colours displayed in full glory within the dense woodland. Traditional Cuisine: Beef, cider, fresh crab’s, honey, mushrooms, pork, sausages, sole and venison. Activities: Horse riding, golf, cycling, walking, windsurfing, water sports and sailing. Entertainment: Motor museums, raptor centre, country gardens, spa days, and wildlife parks, picnics. Areas of outstanding natural beauty: New Forest National Park, Moors Valley Country Park, Exbury Gardens, Buckler’s Hard, Bolderwood Deer Sanctuary, Furzey Gardens, Lepe Country Park, Hatchet Pond near Beaulieu. Wales is home to copious castles which stand intact, and are open to visitors. Working mills, barges navigating the breath-taking Pontcysyllte Aqueduct and old fashioned steam trains tracking up Mount Snowdon all add to the quaint character Wales projects. 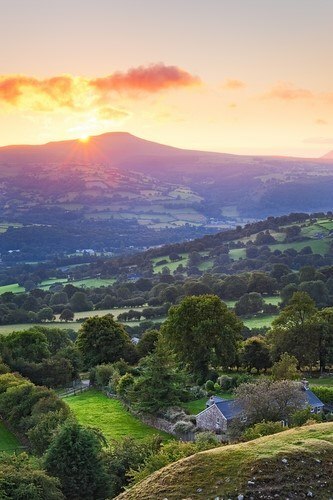 With luscious greenery, rolling hills and snow-capped mountains; there are few areas that can rival the beauty of the Welsh countryside. Traditional Cuisine: Welsh lamb, cheeses (Caerphilly, Tintern, Y Fenni, Black Bomber, Perl Las), Leeks, Traditional Welsh Breakfast (Bacon, eggs, laverbread and cockles), Welsh cakes, Welsh rarebit, Bara brith, Cawl. Activities: Horse riding, coasteering, surfing, white-water rafting, Zip World (zip-wiring) and pottery classes. Entertainment: Steam trains, slate mines, castles, Pontcycsllte Aqueduct, ancient monuments, museums, Snowdon, The Legend of Beddgelert, St David’s Day Parades, Aquariums, butterfly hot-houses and glass blowing. 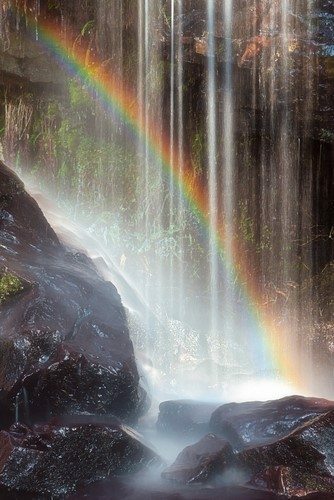 Areas of outstanding natural beauty: Anglesey, Brecon Beacons, Clwydian Range, Llŷn, Gower.